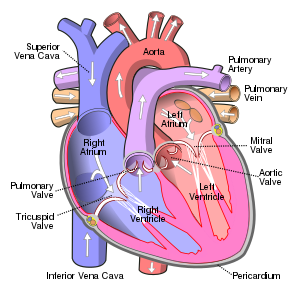 The heart is an organ found in every vertebrate on the right side of the body It is a very strong muscle that is about the size of a fist. It pumps blood throughout the body. It has regular contractions, or when the heart squeezes the blood out into other parts of the body.